To listen to the lectures, click here. To read the essay, click here. "Telling Stories in Two Languages"
Wednesday 1:00 p.m. – 1:50 p.m. Rethinking Japanese Language Education: Crosscurrents in Descriptive and Prescriptive Grammar. Japan Foundation. Review of Bilingual siblings: Language use in families by by Suzanne Barron-Hauwaert. Teachers College Record: The Voice of Scholarship in Education. President, Phi Beta Kappa, Omicron of California Chapter, 2013 – present. 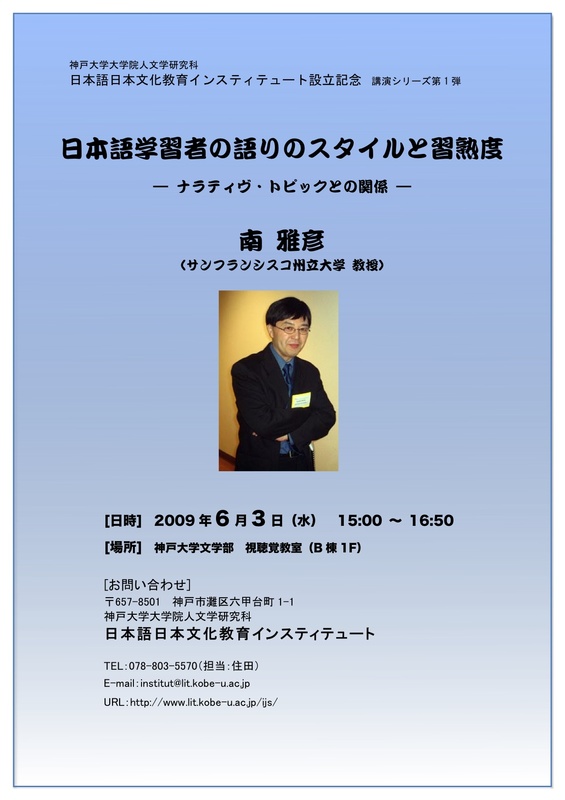 Invited Professor, National Institute for the Humanities, National Institute for Japanese Language and Linguistics (NINJAL) Japan, May 2012 – present. Board of Director, Japanese American Association of Northern California, 2014 – present. President, Foreign Language Association of Northern California (FLANC), 2010 – 2014. Executive Board Member, American Association of Teachers of Japanese (AATJ), 2010 – 2013. Japanese Language Proficiency Test (JLPT), San Francisco Testing Site Coordinator, 2003 – present. President/CEO, Northern California Japanese Teachers' Association (NCJTA), 2005 – 2011. Japanese Program Coordinator, Fall 2001 - Spring 2009, Fall 2014 – present.